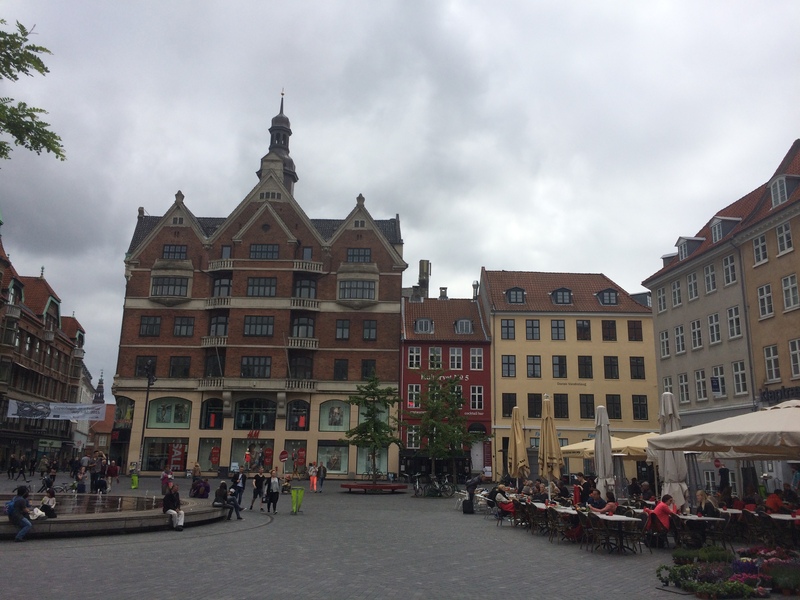 Run (don’t walk) to Copenhagen, Denmark! Perhaps you’ll need to fly here, but do so with all possible haste. Copenhagen, Denmark is a beautiful city. Its residents are friendly. The cobblestone- and brick-paved streets are lined with row houses of many colors. 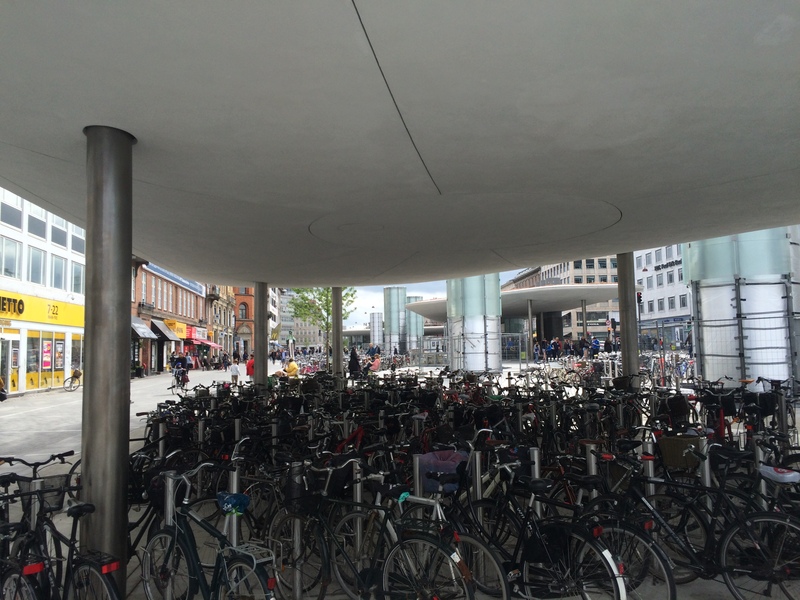 Bicycle, not automobile, seems to be the most popular mode of transportation. There are cafes, outdoor markets, trendy restaurants, extravagant parks (complete with statues of marble and of copper), castles (still in use as government buildings), and awe-some churches. This city has already made my “most favorite cities” list, which now includes Berlin, Dresden, Prague, and Copenhagen. I’d return for a temporary visit (or a permanent move) in a heartbeat. I walked today for about six hours, and never did I lose of the feeling of wanting to see what was around the next corner, on the next block, or along the next fantastic avenue. Ostensibly, my purpose was to find three Søren Kierkegaard sites (his gravesite on the outskirts and two statues in the center of town), but these were mere waypoints to encourage me across the city. 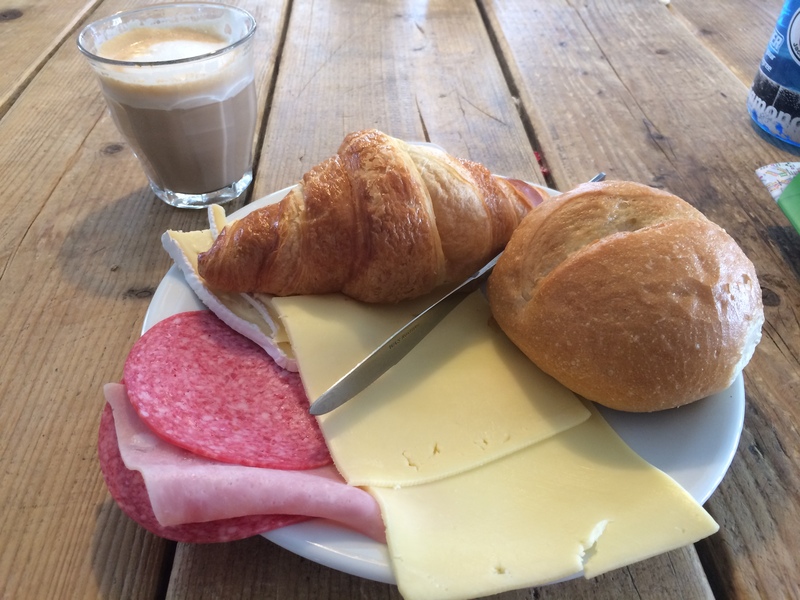 I started with a hearty and definitely European-styled breakfast, drank no fewer than four cappuccinos through the day, and spent quite a bit of time reading on benches (I finished my book, hooray). 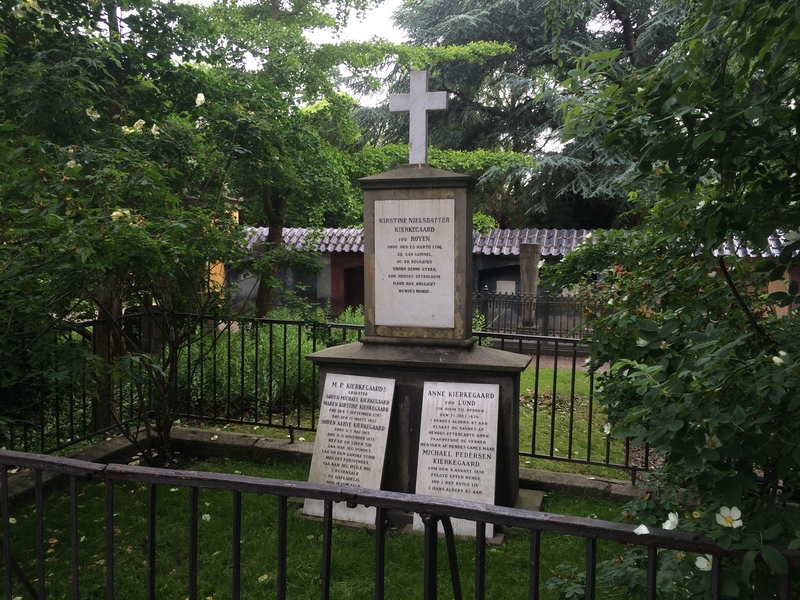 After breakfast, I made my way to the nearby cemetery where I found the gravestones of Hans Christian Anderson and of Søren Kierkegaard. 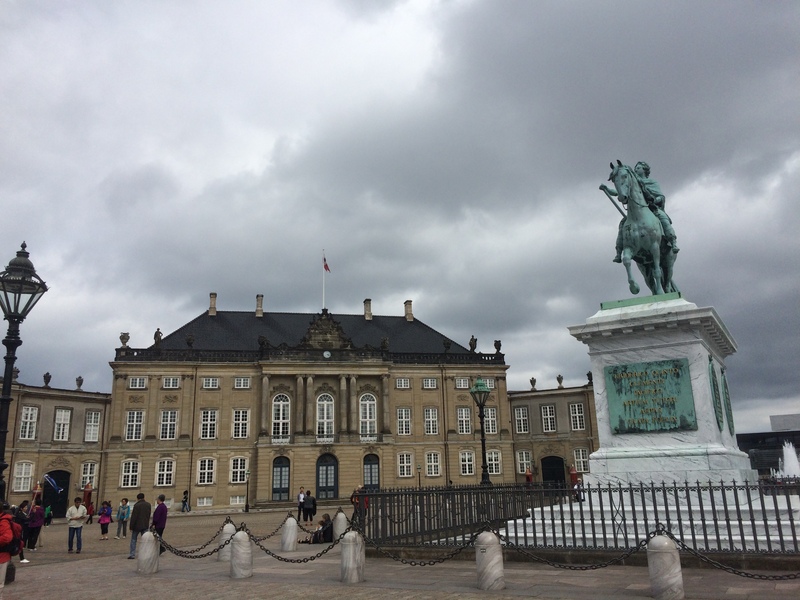 I then traipsed across a major bridge and into the city center, walked along a popular boulevard, and found myself on “castle island,” which is home to the major government buildings that house Denmark’s administrative bodies, including its supreme court. Everything was peaceful. Following my wandering around the island (and finding the statue of the philosopher), I crossed another canal toward the Marble Church, where I’d hoped to find a third Kierkegaard site. I was not to find this second statue, but along the way, I did walk along the canal for which the city is famous, lined with multicolored buildings and crowded with those old wooden ships I mentioned above. The Marble Church itself was gorgeous, and I happened to stumble into a rehearsal for an upcoming choir and music performance. It was transcendent. The church itself was monumental in its beauty and architectural visage. A long, meandering walk back to the hostel took me through several parks, including one that contained a mansion-like castle protecting the nation’s crowns and crown jewels. I don’t know enough about the history of this great, small nation, but now I have connection enough to begin learning about it. And I hope to return! Tomorrow morning, I depart for Hamburg, Germany (on an ICE train – my favorite!). 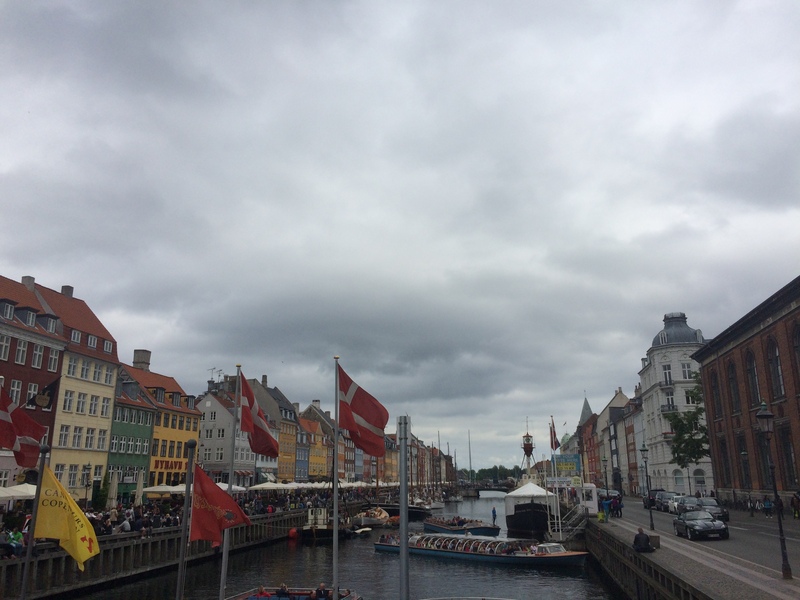 This entry was posted in 2015, Travelogue, Travelogue 2015 and tagged canals, Castles, churches, city walking, Copenhagen, denmark, europe, Kobenhavn, travel. Bookmark the permalink.